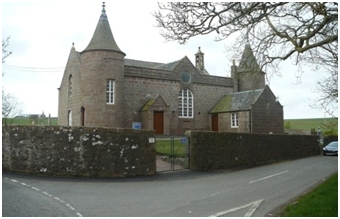 Celebratory events to mark 1,000 years of Christian Worship in Cruden Parish in North East Scotland. It was in 1012 that there took place around the sand dunes of Cruden Bay the Battle of Crochdane between the Scots and the Danes. After the battle, out of sorrow for the many left dead on the battlefield, there was established a chapel dedicated to St Olaf. 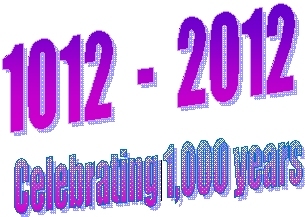 So in 1012, Christian worship started in Cruden and has continued to the present day. The Churches of Cruden want to celebrate this millenial anniversary by holding three events described below. Almost 150 people attended the first event organised by the Cruden Churches to celebrate 1,000 years of worship in the parish, the first chapel being built in 1012 and dedicated to St Olaf. 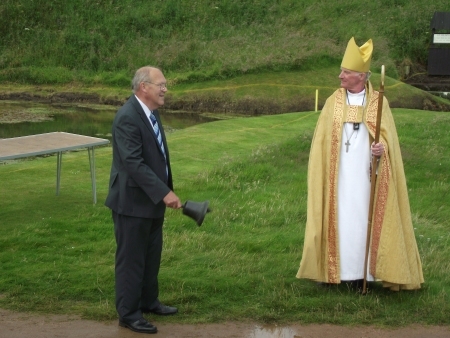 An open air service took place on St Olaf’s Day – 29 July - beside St Olaf’s Well adjacent to the 17th fairway of Cruden Bay Golf Course and was led by the Episcopal Bishop of Aberdeen and Orkney, the Rt Rev Bob Gillies assisted by the parish ministers. A BBC camera was present and the service was featured in the following day’s Reporting Scotland on BBC television. Many of those attending stayed on to enjoy refreshments in the Golf clubhouse after the service. 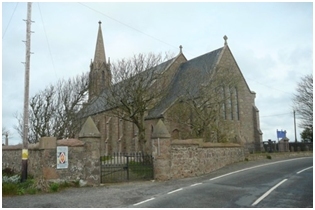 The Churches were grateful for the cooperation extended to them by Cruden Bay Golf Club Council. From 10 am to 5 pm you can visit the three parish churches enhanced by the many flower arrangements and accompanied by information on the 1,000 years history. There will be an opportunity in each church to make a donation to help defray costs. 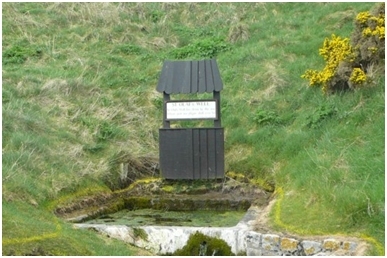 After the first chapel was buried by sand, another was built not far from the Water of Cruden as it flows into Cruden Bay. 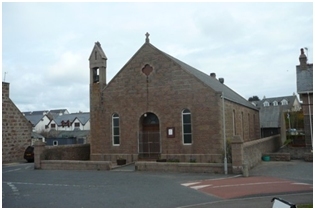 The third church site is where the present Cruden Parish Church, the oldest church building in the parish, stands. Guest Preacher at this service in the Parish Church will be the Moderator of the General Assembly of the Church of Scotland – the Right Reverend Albert Bogle. The Sacrament of the Lord’s Supper will be celebrated and all are welcome to attend. Tea and coffee will be available after the service. If you would like to come along to any of these events uniting the three parish churches, please do so. We will be delighted to have you share with us on these special occasions.